Speakers at a meeting have underscored the need for overcoming the challenges to scale up private sector growth and export diversification to achieve the development goals, vision-2021 and vision-2041. Organized by Business Initiative Leading Development (BUILD) and the Prime Minister's Office, Private Sector Industry and Investment Adviser to the Prime Minister Salman Fazlur Rahman, Principal Secretary to Prime Minister M Nojibur Rahman and BUILD CEO Ferdaus Ara Begum, among others, were present at the meeting. 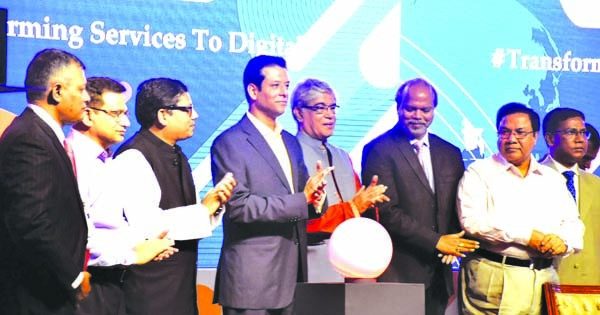 Salman Fazlur Rahman said Bangladesh should overcome the challenges for private sector growth and export diversification since these two key factors are pre-requisites to become a developed country. Highlighting the bigger picture of 2024, Nojibur Rahman emphasized the need for export diversification and asked the concerned ministry to make fully operational the Common Effluent Treatment Plant (CETP) as it is one of the criteria to obtain the Leather Working Group (LWG) certification.